June 3 to July 18. Press Release. Directions. 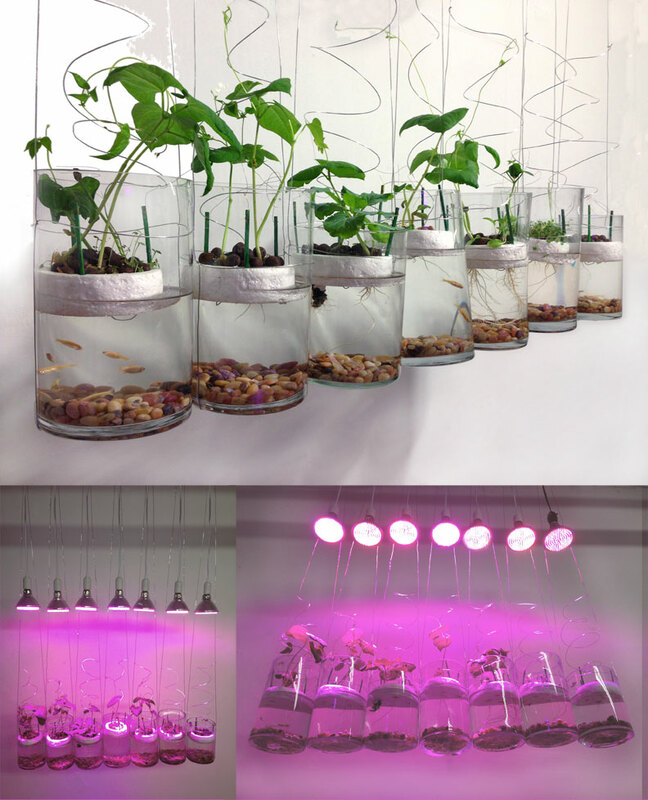 Window Rafting is a miniature garden using simple hydroponic methods of growing. Six inches in diameter, a clear hanging container is filled with water, nutrients, fish, and plants. It adapts and changes to the environment as it grows over the course of its’ indoor life. Ambient pink grow lights grace the space and brighten a blend of horticulture. Window Rafting transforms the space and aims to transform how agriculture is viewed in our culture.